Easily aggregate all of your Google SQL logs for comprehensive analysis and deeper visibility. Get up and running quickly with pre-built dashboards, searches and alerts for easy real-time monitoring. Gain deeper insights into access and authentication issues especially dealing with large, dynamic scaled environments. The Google SQL dashboard Overview provides visibility into critical database activities that include creation, deletion, updates, etc. 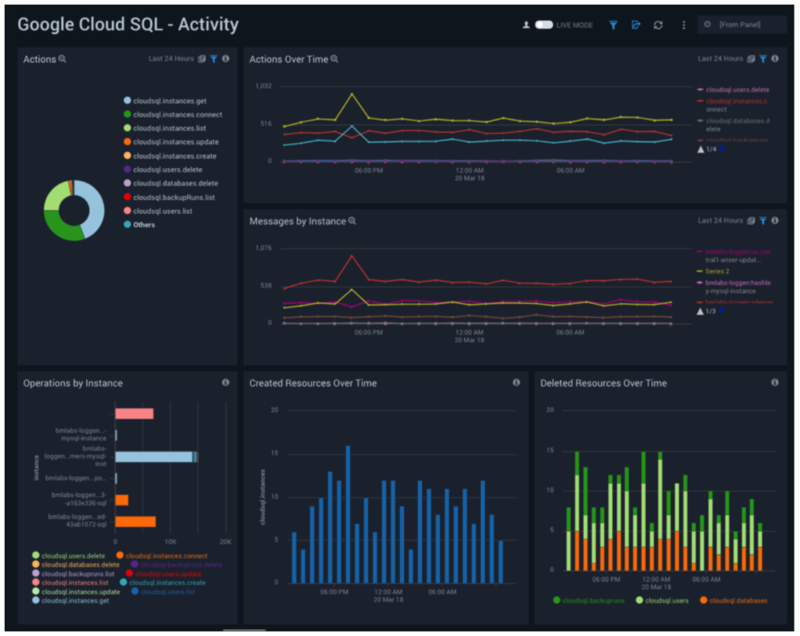 in Google Cloud SQL, and deeper insights into activity locations, created and deleted resources, operations by resources, authorization failures, and messages over time by severity. 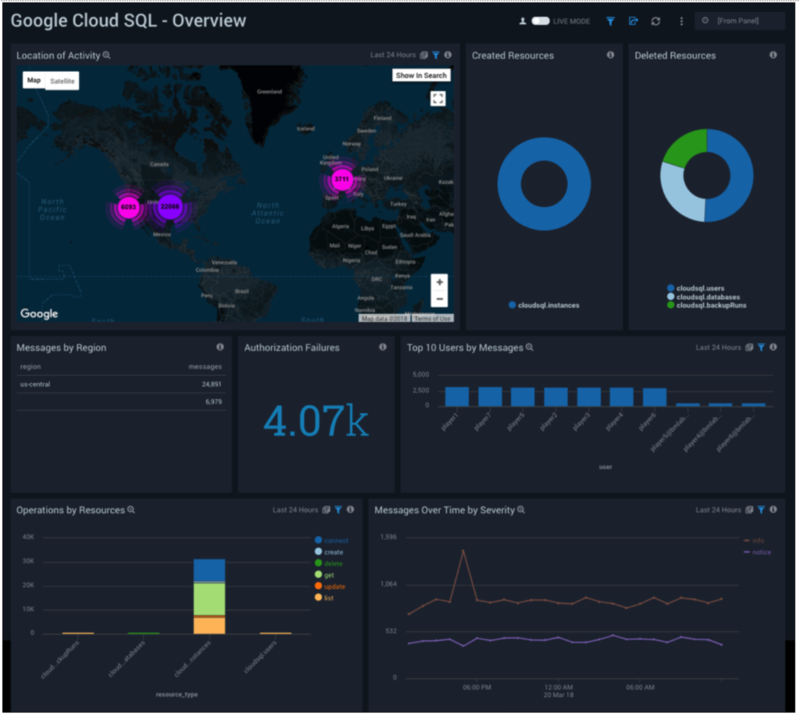 The Google SQL Activity Dashboard Overview provides insightful information about actions, messages, operations, and created and deleted resources in Google Cloud SQL. 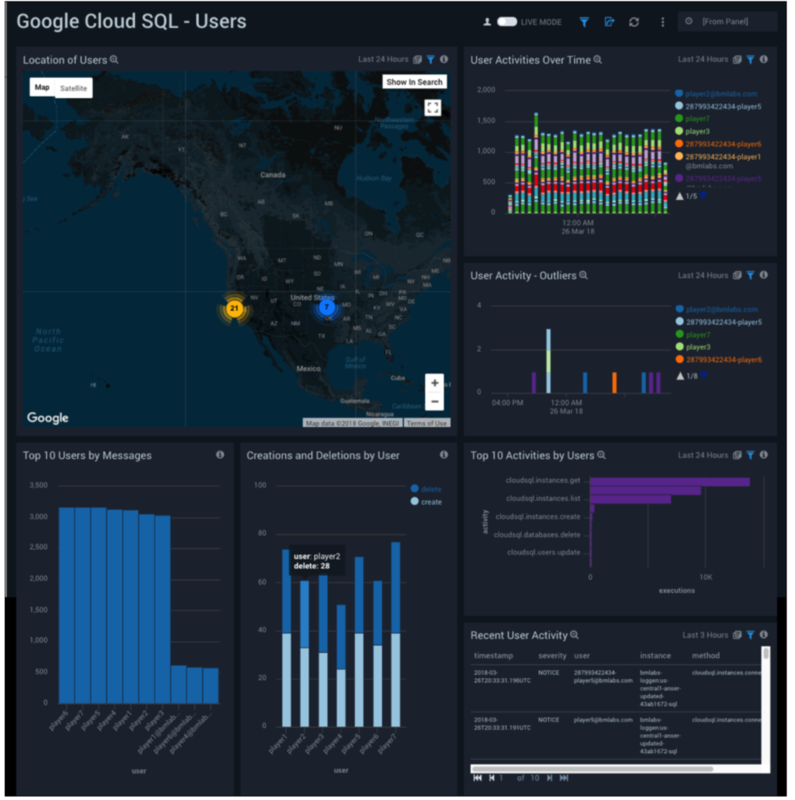 The Google Cloud SQL User Dashboard depicts information about your Google Cloud SQL users, including user locations, user activities over time and user activity outliers; top 10 users by messages, and resource creations and deletions by user.